Cetina is one of the richest in water quantity rivers in southern Croatia, with a total length of 63 mi/101 km. Situated in a rich in flora and fauna region with lush forest, waterfalls, lakes, high cliffs and crystal clear water, Cetina River is of great archaeological and historical importance and has a variety of activities to offer to the outdoor enthusiasts. As the river flow starts from an altitude of 1263 ft/385 m and runs into the Adriatic Sea, it forms a 164 ft/50 m high waterfall close to Zadvarje Village and within a few miles away southerly to Split, called the Gubavica Falls. 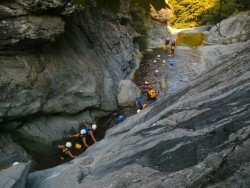 This place sets the best scenery for canyoning in one of the greater adventures that Croatia has to offer. 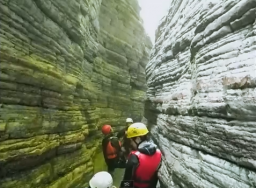 The adventure starts at Zadvarje Village where you can directly enter the amazing canyon with cliffs that reach a height of up to 600 ft/182 m and start exploring your surroundings. 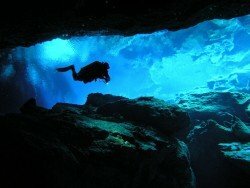 The deeper you go into the canyon, the louder it gets the sound of the water. You now walk through rapids and sub terrain tunnels. 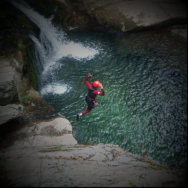 If you wish to move to a more advanced level and find out what canyoning is really about, you can choose to descent the waterfall with alpine ropes from a height of 190 ft/58 m.
This activity is suitable for all with no previous experience necessary. The best season to visit the river is from Spring to late Fall when the water is in its full force and nature is overwhelming. 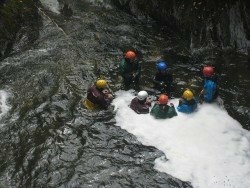 There are many ponds and small lakes where you can swim as well as a wide variety of rocks in various shapes and height where you can jump off in the crystal clear waters of the rivers. Gear is provided on the spot from the schools, operating in the area. The only thing you need to take with you is a pair of non slippery shoes and your good mood. Prepare to get wet and have a great day in the beautiful untouched nature of Cetina River in Croatia!!! This course is aimed at windsurfers who have finished the basic course and now want to further improve their skills. You can choose to learn beach starting, fast tack and jibe turns or riding in a harness! All equipment is included in the price. 26€ - 10% discount for Liberan Camp visitors! This course is aimed at higher level windsurfers who want to learn more advanced moves on a fun board. 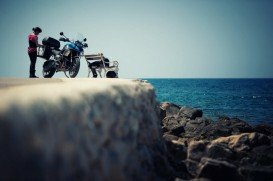 You can choose to learn waterstarting, planning on a board, riding in footstraps, power jibes or jumps! The equipment rental is not included in this price. 22.5€ - 10% discount for Liberan Camp visitors! In this package, you get to stay at our Camp by the sea, in one of our Trailers for one week while taking our beginner Kitesurf Course. If you visit us in a group of 2 or more, you get a greater discount on the package. The Beginner Kitesurf Course lasts 12 hours over estimated 5 days. Each day, there is class. We find that dividing the course into multiple days makes the learning curve better for our students. The course is done via a boat which constantly follows our students during the course. On the boat are one or more instructors that give tips and corrections to students. 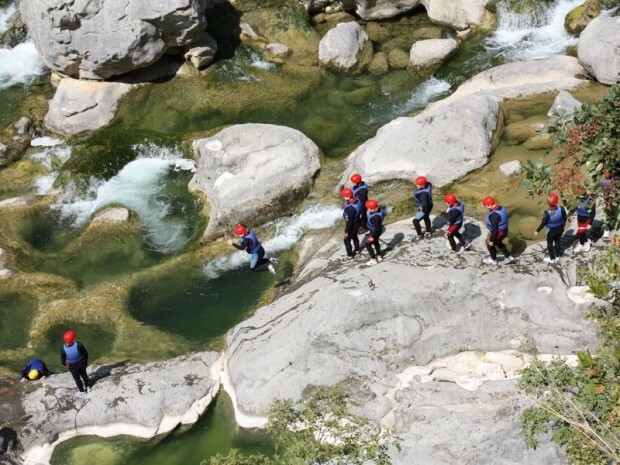 Our instructors are also there to jump in and assist the students and show them how everything is done. In our kitesurf school, students are best taken care of since our skilled team is always behind them. The rent of all equipment and the boat is included in the price. In case you need some extra hour to finish the course, we will take extra time with you. 5th day – Improving your riding skills and becoming a kitesurfer! 270€ - 10% discount for Liberan Camp visitors! The course is aimed at students who were introduced to the basics of kitesurfing by previous lessons, but want to improve their kite control and boost their confidence. The lesson can cover body draging, power dives, kite relaunch in water, board retrieval, and water starting or upwind kiting. 58€ - 10% discount for Liberan Camp visitors! A private lesson one on one with our instructor. Equipment rent included. 68€ - 10% discount for Liberan Camp visitors! The windsurf beginner course is 6 hours divided into 3-4 days. Each day is spent in school with one of our instructors in groups with a maximum size of 5. The windsurf courses usually take place in the early afternoon. Gear used will be large JP Australia boards (215 L) and small Severne school sails. If you wish, you can also use our NPX neoprene and life jackets. The rent of all equipment during the course is included in the price. In case you need some extra hour to finish the course, we will take our time with you. 89€ - 10% discount for Liberan Camp visitors! This course is aimed at children under 13 years so they can learn the basics of windsurfing on special kids equipment. The lessons are mostly done at morning hours on light winds. All equipment is included in the price! Our advanced gear is there to assist if you do not own gear, or have a small sail range. Included in this rent option are: mono film sails, small fast boards, harnesses, wetsuits and life jackets. *10% discount for Liberan Camp visitors! In this package, you get to stay at our Camp by the sea, in one of our Trailers for one week while taking our beginner Windsurf Course. If you visit us in a group of 2 or more, you get a greater discount on the package. Try windsurfing and decide if you like it! This course covers the basic sailing theory and the first steps on water. 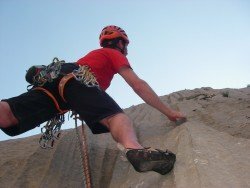 After this you can choose to prolong it to a full beginner course. All the equipment is included in the price. The course is aimed at students who would like to try kitesurfing but are not sure if they would like to take the whole course. Here, students will be taught the basics. 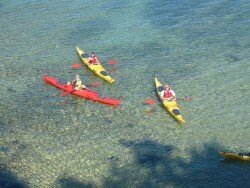 Included in this rent option are: small school sails, large stable boards, harnesses, wetsuits and life jackets. 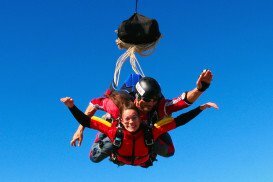 River Rafting, Wind Tunnel Flying & Outdoor activities in Novi Golubovec, Croatia. August 2017-2018, October 2017-2018. 3 Days – air travel not included. Gitgit Waterfall is a beautiful waterfall situated in Bali, Indonesia. It rests in the north of the Southeast Asian island, not far away from Lovina and the old island capital, Singaraja. 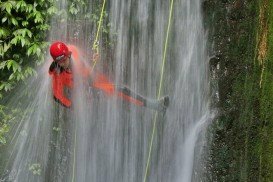 The canyoning activity in Dolomites, is a very successful combination of mountaineering and fluvial techniques. 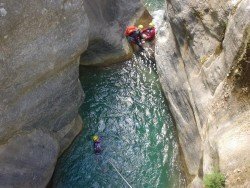 In Trentino region, in northern Italy, the fans of canyoning have many options to enjoy the magnificent gorges of Italian Alps. The crystal clear waters coming down directly from the snowy slopes of the Dolomite’s peaks and the breathtaking landscape, not only from the top of the hills but also from the heart of the mountains would take your breath away. The area offers many possibilities for all skill levels. Zadar is a city with rich cultural heritage, located in Pag Island, Croatia on the Adriatic Sea. It is the center of Zadar County and the wider northern Dalmatian region. Pag is the fifth-largest island of the Croatian coast and the one with the longest coastline. Zadar is a picturesque historical town, located in the northern tip of the Dalmatian Region and is bordered by the Adriatic Sea. 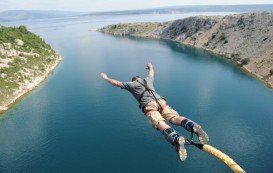 As it is the ancient capital city of Dalmatia, the city is an amazing blend of ancient and medieval architecture along with vibrant nightlife, beautiful beaches, cultural events and many days of sunshine.